Togo Mizrahi was an Italian Jew, born in Alexandria in 1901. 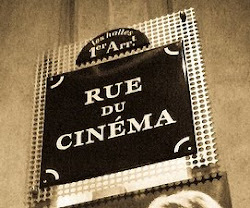 Founder of the Egyptian Films Company, he was the epitome of cosmopolitanism – both educated in Europe and Arabic-speaking. He made thirty-two films in sixteen years, including Cocaine (1930), made in Alexandria; films on racial interaction such as The Two Delegates (1934) and Seven o’Clock (1937); four Greek-language films between 1937 and 1943; and many others about Egyptian life, or based on folk tales – like Salama (1945), which starred the adored Egyptian singer Oum Kulthoum, with lyrics by Bayram al-Tunsi (pardoned in 1938, he said he would like to kiss the dust at the King’s feet, and thenceforth worked in films). In accordance with the fashion for cinematic Arabization, Mizrahi often acted in his own films under the name Ahmed al-Mishriqi. He also helped launch the career of two Egyptian Jews, the actress Leila Mourad and a comic actor called Shalom. Nevertheless, accused of Zionism after the first Arab-Israeli War, in 1948 this apparently integrated Alexandrian moved to Italy. He died in Rome in 1986, cut off from Egypt, but still using writing paper with an Egyptian address. Levant, p. 268, With reference to Mohamed Awad and Sahar Hamouda's The Birth of the Seventh Art in Alexandria (2007). Sometimes when I need to cheer myself up I watch speeches by John F. Kennedy, and especially the one about going to the moon, given on a very hot day on the campus at Rice University in Houston, Texas. The best part is when he says "We choose to go to the moon in this decade and do the other things, not because they are easy, but because they are hard." Watching Interstellar (Christopher Nolan 2014) brought that speech back. What we as humans do is transient, and not all that important, and most people are probably content with merely surviving, and trying to have some fun while they are doing that, while a few others seem primarily interested in destroying, degrading or stealing. But for many just surviving and having some fun is not enough, they have dreams that go beyond that and act upon those dreams. They are often celebrated as heroes, while simultaneously ridiculed by others; others who ask "What was the point of that?" The action can take many forms. One, as was shown in the film Tracks (John Curran 2013), can be an Australian woman who walks through the desert with some camels and a dog, for no apparent reason other than that she wanted to do it. Interstellar is also partly about that. Cooper, played by Matthew McConaughey, is not satisfied with just surviving; he knows that there is more to life, that there has to be more to life. But he feels that the human race have forgotten about that. "We used to look up at the sky and wonder at our place in the stars. Now we just look down and worry about our place in the dirt." he complains at one point, and he is right. When he goes to a parent-teacher meeting, the teachers want to discourage his children to continue to study or to have dreams, they are concerned only about what is practical and profitable. There is sense to this, the world is in a terrible state, as is our world today, but just looking down and carry on is not the answer. In the world of the film the textbooks have been altered and are now arguing that the moon landing never took place, that it was faked to bankrupt the Soviet Union, and to think otherwise is dangerous. Dreaming about going to the moon can get you expelled. In the first trailer for Interstellar, Cooper talks, in a voice-over, about these moments "when we dared to aim higher, to break barriers, to reach for the stars, to make the unknown known" but "we've lost all that." But he has not, that is still what is on his mind. So Cooper is perpetually dissatisfied, this world is not his, he has no real place in it, and when he is given the chance to leave it he takes it, and not just once but twice. For me that is what the film is really about, and that is also what Christopher Nolan is really about. In his earlier Inception (2010), one character says to another "You mustn't be afraid of dreaming a little bigger, darling." but that is not something Nolan can be accused of, or his main characters. They thrive on dreams and ideas (while often going through a crisis of identity). Some critics have complained about the film with the argument that it would be better to stay on earth and fix things rather than run away to another solar system. Is not Interstellar in fact imperialistic, or even fascist, for suggesting that we might have to abandon earth? Is not this "pioneer spirit" what got us into trouble in the first place, and is the cause of our wars and our suffering? You might however likewise argue that were it not for our wish to leave, to go further, to look beyond the horizon, we would still be living with the other animals in central Africa, hunting gazelles. That might not be so bad, we as well as the planet might be better off had that been the case, but it is not the case. If you complain about this "pioneer spirit" but are still happy with modern life and all its conveniences, then you need to ask how you would have that without the pioneers. As with religion (which I wrote about in the previous post), human history contains both good and bad and you cannot pick the parts you like and say "This is what matters, this is who we are." because everything that has happened matters, and we are good as well as bad. But what about costs? Why should we pay for it all? Could not all that money, whether to make Interstellar or go to the moon, be put to better use? Maybe to build day care centres or shelters for homeless people or some other undoubtedly good thing. Yes, perhaps, but to do only that would be to diminish us humans and what we are, and what we need. In 2010 South Africa hosted the football World Cup, and many (not least people who were not South Africans) were upset with this waste of money, spending on football stadiums when people were poor and hungry. But many of those who were poor and hungry were rather thrilled about hosting the World Cup. It made them proud, that South Africa could do such a thing, and pride is nothing to sneeze at. If you have enough food to survive, sometimes pride might be worth more than an extra portion. Life is not all about measurable utility, there are intangibles too. There are hard materialists all across the political spectrum, many who decry "wasteful" spending, which for some is money spent on the humanities in academia, or the arts, or space travels, or football stadiums or whatever. They are people who look only at what they feel is most urgently needed right now for surviving, and forgetting about other values. Last year ESA (the European Space Agency) landed a small robot, Philae, on a comet. It had been brought there by the probe Rosetta, and nothing like it had ever been achieved before. When the news was announced people were quite excited all over the world for this show of human engineering, wondering what we would find on the comet and where we might go next. Philae has its own Twitter account, with close to 400 000 followers (it is asleep at the moment though). Curiosity, the rover which NASA has landed on Mars, also tweets, and has 1.8 million followers, so the global excitement also extends to that world. (Philae is one of Curiosity's followers but Curiosity does not seem to follow Philae. It does however follow Lady Gaga.) These small machines, or robots, tweet in first person style, as if they were individuals. Here is a typical tweet from Philae: "Now that I’m safely on the ground, here is what my new home #67P looks like from where I am. #CometLanding ". The robots in Interstellar, TARS and CASE, are, as so often happens in science fiction, individuals with distinct personalities, and the humans in the film care for them, including them in their conversations and ethical thinking. But it is not just those two; other objects are also treated as if they had a life of their own. The Indian surveillance drone that Cooper and his children encounter at the beginning of the film is an example. The daughter, Murph, asks why it has flown all the way from India to the US and Cooper suggests that maybe it was looking for something. Then Murph says that "We should just set it free, it wasn't doing anything," feeling upset about them taking advantage of it, even though it is just a drone. The humanity expressed in Interstellar, which is somehow related to the way the characters speak to each other, often in hushed tones, is one of the many things that makes Interstellar so great. The impressive acting, the grainy visuals on earth contrasted with the clarity of the images from space, the cross-cutting and Hans Zimmer's music are other reasons. The film is very intense, an emotional and exhaustive experience, even though its pacing is comparatively relaxed. There is a scene where a failed docking manoeuvre in deep space leads to an explosion, and every time I have seen the film in the cinema there have been a collective gasp in the audience, an overwhelming experience of a shared feeling, a feeling of both release (after a long and tense sequence) and shock, and such a shared feeling is also something you cannot put a prize on. Interstellar is related to Contact (Robert Zemeckis 1997), including the presence of McConaughey and relativity. 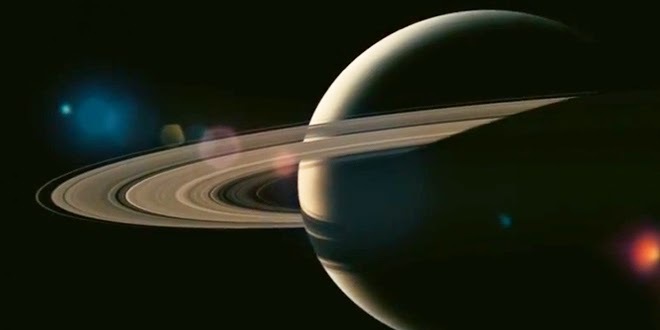 Here is the extraordinary first shot of the film, a camera movement through the solar system and through time. A number of racists and assorted nitwits have, inevitably, said "This is the true face of Islam, this is how it really is!" Simultaneously there are those, much more benevolent and sympathetic, who say that "This is not Islam. This is the opposite of what Islam is." While their motives are very different both sides are claiming to know what Islam really is, and can judge which version is the true version. But that is untenable. The big religions have millions of believers who each have their own version of their religion, and when you talk of Christianity or Islam or Judaism you have to accept that it is both good and bad. God, as portrayed in the Bible, is not a benign, cuddly uncle but frequently petty, vindictive and even genocidal. A kind priest who hides illegal immigrants is not more of a "true" Christian than the awful homophobes at Westboro Baptist Church. Islam contains love, poetry and kindness as well as misogyny and extremism; the grand ayatollah Ali al-Sistani as well as Abu Bakr al-Baghdadi, the leader of Daesh; Sayyid Qutb as well as my kind history teacher in college. If you want to talk seriously about religion you cannot just cherry-pick the stuff you like and say "This is the truth, this is the real Islam/Christianity/Judaism/Hinduism." There is no such thing; we must acknowledge the totality of any given religion. Many have also tried to contextualise (or "explain") the events, some with the best of intentions, others with more dubious motives. Some, boldly saying that we need to look at history, look all the way back to 2003 and the war in Iraq. Others at least manage to invoke France's colonial affairs in Algeria. But all these efforts are painfully inadequate. For one thing, what exactly did the Jewish deli store in Porte de Vincennes have to do with whatever Bush and Blair were up to in Iraq? But more to the point, if what happened to Charlie Hebdo can be "explained" (yes, I insist in using "") by referring to Iraq, what are we to do with the assassination attempt on Ettore Capriolo in Milan in 1991 or the attempt on William Nygaard in Oslo in 1993? Or the firebombing of book stores in London and newspapers in the US in the late 80s and early 90s? These attacks (and possibly the murder of the Japanese translator Hitoshi Igarashi in 1991) were because the victims had sold, defended or somehow engaged with Salman Rushdie's book The Satanic Verses and the motives for the attacks were the same as for the attacks on Charlie Hebdo. Certain fanatics felt offended by Rushdie's book, and took it upon themselves to kill and maim whomever they saw fit to kill and maim, and so it was in Paris last week. If you want to provide a historical context then do that (and be prepared to take the long view, Al Qaeda are still angry about things that happened in 1492), do not just regurgitate you own pet peeves. Instead analyse the situation based on what actually happened, not solely on the identity of the perpetrators because that is a form of racism too. And the argument "The war in Iraq was a bad thing, therefore all bad things that has happened after it is because of it", and equivalents thereof, is an intellectual dead end. Quite a few tweets as well as several articles have been published on the theme "Charlie Hebdo is a racist paper and those who worked there were only interested in making a lot of money and kicking down on the weakest members of French society". That is one view but it is worth remembering that Charlie Hebdo is a left-wing/anarchist paper which has been attacking every single French president and government since the 1960s, has repeatedly criticised racism, religions (all of them) and fascism, and frequently attacked the French military and police for their violence, racial profiling and overreach. This despite constantly being harassed, threatened with closure, censored, on occasion in effect closed down by the authorities, and additionally having received multiple death threats and been attacked with bombs and such. You may criticise them for their images of Muhammed but saying that they were cowards sucking up to power and pandering to racists is really pushing it. [Trilling] was the first Jew to become an assistant professor in the department; he was appointed by the autocratic president of [Columbia] university, Nicholas Murray Butler, during the summer vacation, so that the faculty would not have to be consulted. Afterward, his former dissertation adviser, Emery Neff, paid a visit to him and his wife, Diana, to explain that he should not understand his promotion to mean that the department would welcome any more Jews. In Europe it was even worse, especially before but still after the war. It never went away and now it is growing again, in tandem with Islamophobia. Alas, a difference between the two phobias is that many self-named progressives and left-wingers are surprisingly often hesitant to understand, acknowledge or condemn anti-Semitism, whether it comes from high up (such as from the late Hugo Chávez) or from down on the streets. And again "explanations" are provided, with plenty of blame put on the politics of Israel. But politicians blaming their country's problems on "the Jews", as is popular in Venezuela or Turkey, among other places, or the killing of Jewish children on the streets of Europe cannot be "explained". It is part of an ancient tradition which has nothing to do with Israel, regardless of the many appalling actions of its government. The world is getting uglier by the day it seems like, with intolerance, pettiness, stupidity and equivocations coming from all directions, from all sides of the political spectrum. But maybe it was always thus. I will end with a quote from Trilling himself, from a letter he wrote to a friend in 1946: "What revolts and disgusts me . . . is the hideous involvement of ideals, feelings, social indignations, exhibitions of martyrdom, self-pity. I expect a quantum of injustice in any imperium, expect contradictions as the price of order—what brings me to the puking-point is the fine feelings." Ernie Pyle was a real person, a Pulitzer Prize-winning correspondent who was killed later in the war, at Okinawa. He was played by Burgess Meredith in the film. 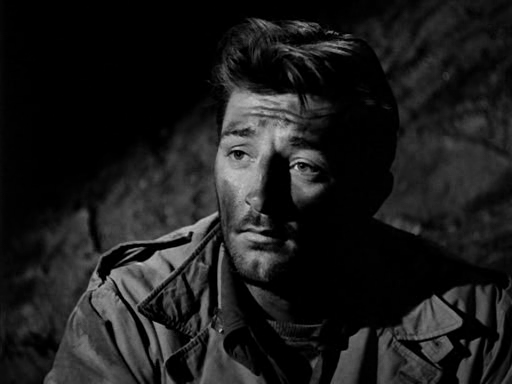 Walker is based on Captain Waskow, who was killed in battle in Italy, and he is played by Robert Mitchum in what is one of his best performances. But in the scene described above it is Meredith that stands out, primarily because of the sounds he is making. He does look and sound like a man who has walked through the mud on a cold night. Otherwise The Story of G.I. Joe is not all together successful, some scenes feel awkward (partly perhaps because most of the characters are played by soldiers rather than actors). But it is unusual, and for the most part powerful. It is not about glory or victory but about what it is like being the soldiers that have to walk for days in pouring rain only to die in the mud, shot by an unseen enemy. Some go crazy, some cry after their wives. We rarely see any battles, we see the soldiers walk away to battle and then we see the empty faces of those that come back again. There have been many war films, some good, some bad, some extraordinary. This is one of the good ones, and with a few extraordinary scenes, and for its focus and pathos it deserves to be remembered. This year is celebrates its 70th anniversary, and even if you cannot find the time to watch all of, at least watch those exceptional five minutes of two men celebrating Christmas in despair, under the shadow of imminent death.